Hello long time no blog! It’s been a very busy few weeks, and likely to get busier, so firstly, apologies to all those wonderful writers waiting on me to read and review books. I’m on it, I promise. 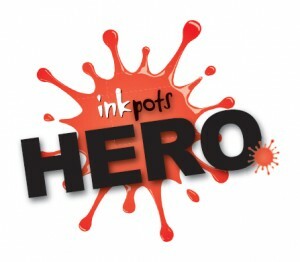 In the meantime, my latest picture book review. 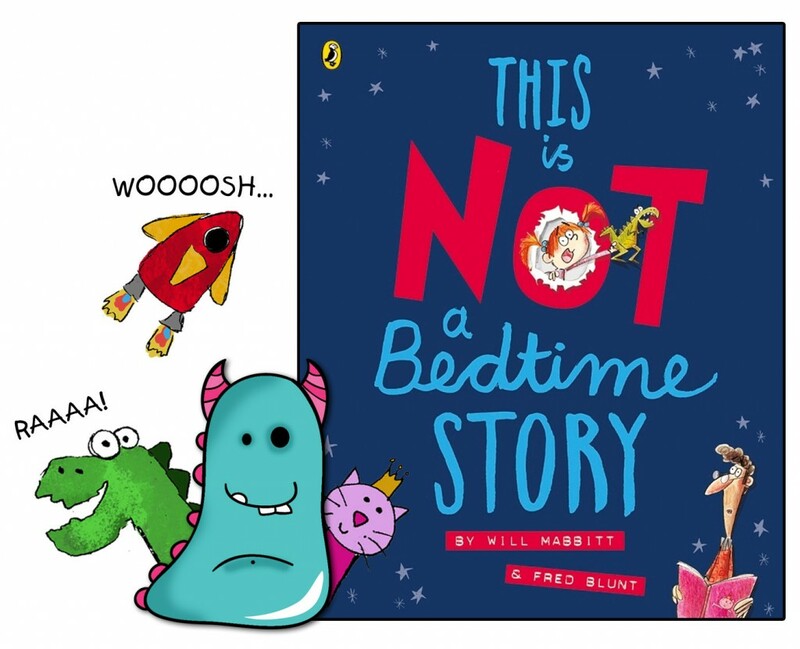 This is NOT a Bedtime Story written by Will Mabbitt, illustrated by Fred Blunt and published by Puffin Books. This book was alerted on my radar some time ago, having reviewed one of Fred’s books previously, the very wonderful Captain Falsebeared in a Very Fishy Tale (click to read the Book Monster review). Fred’s illustrations reminded me of the wonderful Quentin Blake with his own unique twist of course. I love them and so I’ve been keeping a keen eye out for more of his work since. I was kindly sent This is NOT a Bedtime Story and wow was I the lucky book monster! 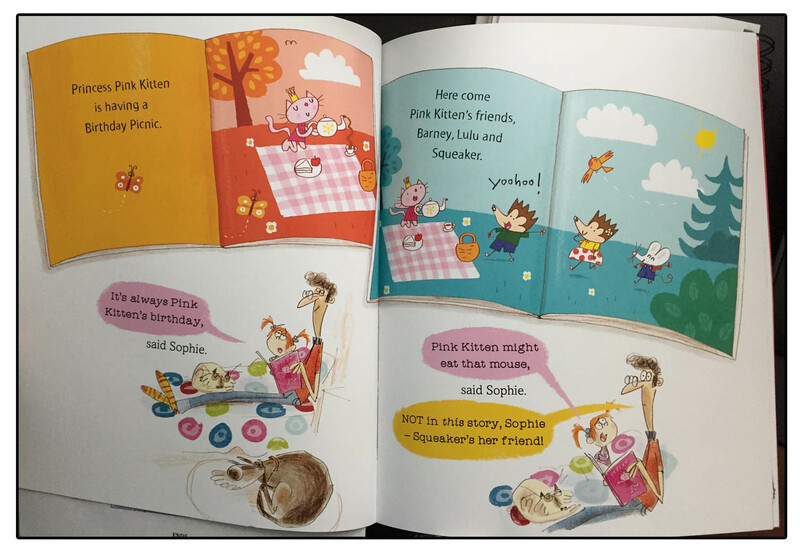 This is seriously NO typical bedtime story as Sophie settles down with her Dad to read their usual bedtime tale, she decides she doesn’t want to re-read a tale of a pretty pink kitten having the same old birthday party. 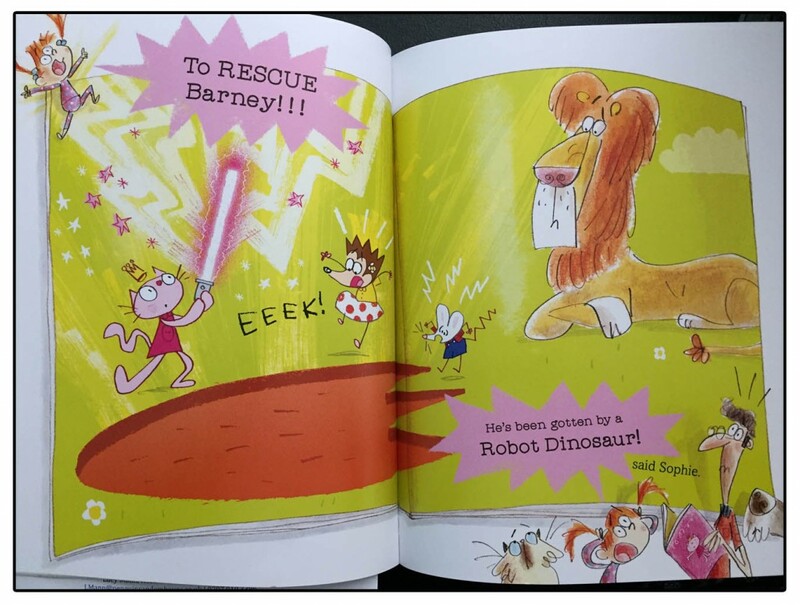 So Sophie takes control of the story to whisk it off in every possible direction, including lightsabers, robot dinosaurs and much more! Poor Dad is taken on the adventure to end all adventures as this bedtime story gets, gradually, more and more crazy! It may not be the kind of story that lulls you into sleep, but it’s exciting and contains all the elements that every child loves! Will Mabbitt, father of two and long suffering tricky bedtime storyteller wanted to write a story that reflected the reality of bedtime, but also wanted to show Sophie in control of her own story. And he’s achieved this brilliantly well. The poor father in the book gets more and more shocked and exhausted by Sophie’s continued storytime demands! However, what we see, through this gorgeous conversational writing, is a father and daughter creating their own exciting stories. Sophie uses her wonderful imagination, the imagination that children have so much of, to make her bedtime bigger, better and much more action packed than ever before. It is exactly what a bedtime story should be! Fred Blunt’s illustrations compliment the story perfectly with bags of bright colours and dynamic sketchy illustrations, the story leaps off the page at you. Really wonderful! 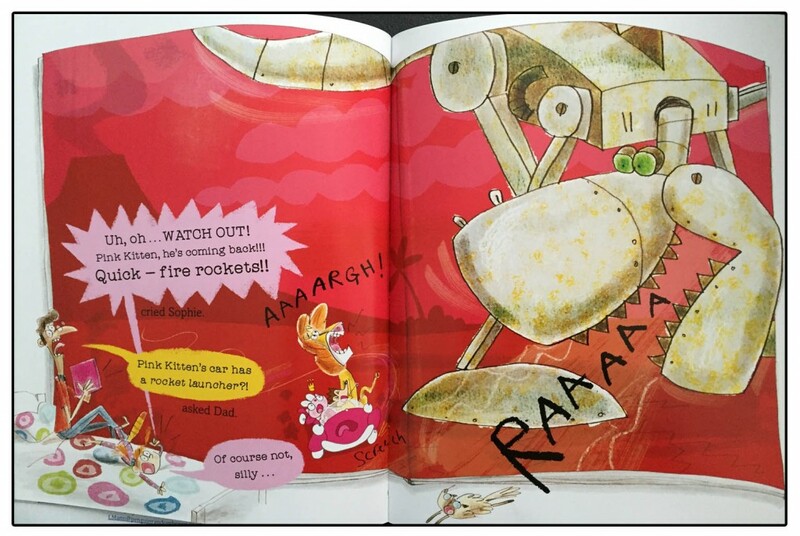 I love the contrasting illustrations shown within the original pink kitten storybook too. They are deliberately static and uninspiring which emphasise how brilliantly Sophie has developed the tale into something extraordinary! And I have to say, the very final page illustration of Sophie’s Dad, post bedtime story is fantastic, made me chuckle and I’m sure many many parents would identify with it. This is NOT a Bedtime Story breaks gender stereotyping and it shows how you can jump out of a book and make the story your own. Embrace children’s imaginations! Both writing and illustrations are packed with humour and character that make it delightful to read. It would make a brilliant tool in the classroom and library for encouraging first storytelling with young children. This is something I plan to do in my library very soon! This is NOT a Bedtime Story is available to buy or borrow from all good bookshops and libraries now. 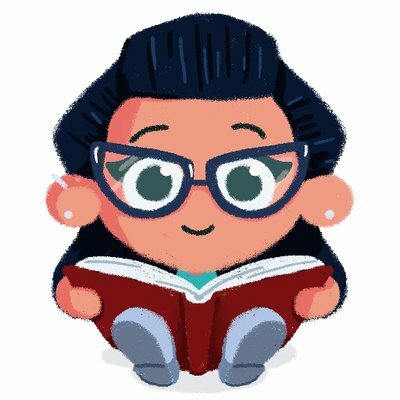 And finally, as always, thank you for reading this Book Monster review!